Prior to owning her own business, Mary enjoyed an 18-year career with the Walt Disney Company where she was an executive in marketing and a general manager coaching teams of 8-800. She was a Disney Marketing Brand Director where she developed brand positioning and strategy for Walt Disney World businesses, resorts, and theme parks. As the Business Director of Disney’s internal advertising agency she oversaw the team who annually managed 5,000 projects with a $130 million budget. She also served as Director of the former Disney Institute, a 585-room resort hotel and learning center with 800 employees, 100 training programs, and a $65 million budget. 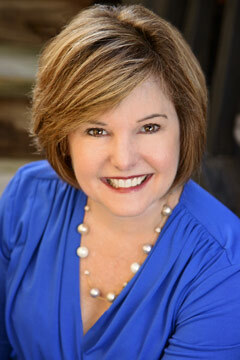 Since 2001, she has been President of On-Purpose Partners, LLC, a coaching, facilitation, and consulting firm. She specializes in brand and marketing development, customer service training and consulting, the design and facilitation of planning retreats, workshops, and personal and executive coaching. She is a national speaker and the published author of Wholehearted Purpose and Facilitation Made Easy and has co-authored business articles in Meetings & Conventions, Training Magazine, Successful Meetings, HR Innovator, and Inspired Women Magazine.com. She lives near Raleigh, North Carolina and is the Co-Founder of PCW (Professional Christian Women – professionalchristianwomen.com). She and her husband love North Carolina and following the adventures of their two grown children and grandbabies.